352 acres. 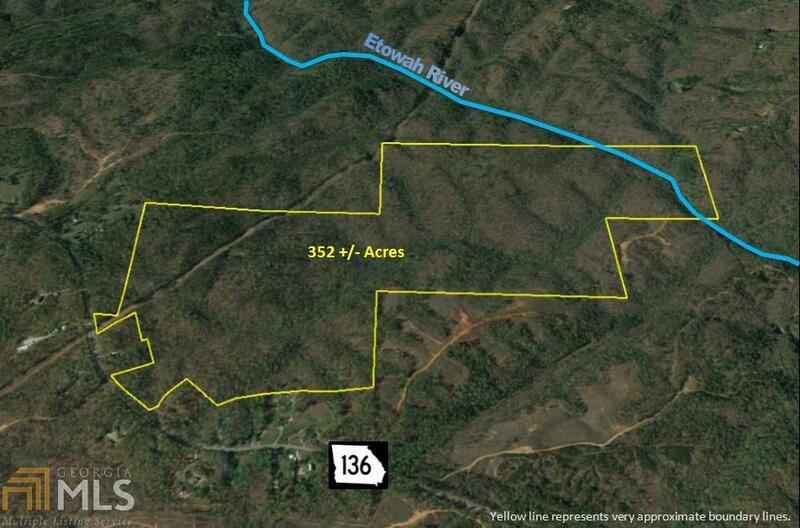 825 ft road frontage on Hwy 136 3 miles from GA 400. 1,400 ft Etowah River frontage. This large tract has many potential uses and is in the line of growth.